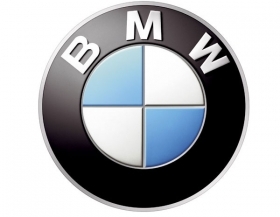 SAO PAULO -– BMW posted a 30 percent drop in first-quarter sales in Brazil due to a tax rise for imported cars, said Henning Dornbusch, the company's country head. In an effort to protect jobs and automakers with factories in Brazil, the government levied a 30 percent increase in its industrial products tax on vehicles with less than 65 percent of their parts produced in the country. The tax increase took effect in January and is on top of the 35 percent import duty already charged in the South American nation. "Car sales fell 30 percent due to the IPI raise," Dornbusch said in an interview on April 13 in Sao Paulo. "We've partly compensated it by raising prices 15.9 percent in average, with BMW and dealerships absorbing the rest." Brazil raised the tax following a surge in shipments from China and elsewhere, which was fueled by a rally in the real and has hurt carmakers based in the country. While BMW's market share in Brazil, which is dominated by Volkswagen, Fiat and General Motors is small, it's looking to the country and other developing markets to help cement its lead as the biggest maker of luxury cars. "BMW sees Brazil as a country with a very, very big potential," Dornbusch said. "China is in the center of our radar, but Brazil is just hovering around it." The company sold 1,888 units in Brazil in the first quarter, down from 2,137 units a year earlier, to give it a market share of 0.24 percent, according to the country's dealership association, known as Fenabrave. Total market sales in Brazil, the world's fifth-biggest vehicle market, fell 0.6 percent to 772,755 in the period. Because of the IPI increase, BMW has put on hold plans to build a factory in Brazil. According to Dornbusch, there is still interest in investing in Brazil, though it will depend on a reassessment of the company's original business plan because of the tax increase. "When we have all the changes mapped out, we'll decide whether to go on or not with the factory plan," Dornbusch said. "Our interest in Brazil is really big, but it all depends on the business case. We're not here to lose money." Finance Minister Guido Mantega has said the increased tax will raise the cost of imported cars by as much as 28 percent, and force automakers to build key components in Brazil. The country is seeking to arrest gains in the real to protect local manufacturers and fuel growth in Latin America's biggest economy. The real fell 6 percent in March, the biggest decline among all currencies, as Mantega expanded financial taxes to discourage foreign investment and the central bank stepped up dollar purchases. While other automakers have held back from building factories in Brazil, some have accelerated plans, especially after the government in March changed an auto trade-tariff agreement to limit the number of cars that can be exported to Brazil from Mexico. Nissan, Japan's second-largest carmaker, may "ramp-up" its Brazilian plant expansion to compensate for the changes in the agreement, Chief Executive Officer Carlos Ghosn said in an interview on March 26 in Tokyo. "This limitation of exports from Mexico to Brazil makes our Brazilian plant even more necessary." Last year, according to Dornbusch, BMW sold 12,422 units of its BMW-brand cars, 2,792 units of the Mini-brand and 5,442 BMW motorcycles. The Brazilian car industry sold 3.42 million total cars last year, according to Fenabrave. Not yet the 20th biggest market for BMW, Brazil is attractive to it alongside China, Russia and India, due to its plentiful resources, investment inflows and rapidly growing middle class, Dornbusch said. With BMW's low sales volume in Brazil and the country's market characteristics, Dornbusch says it's feasible to grow ahead of the market in the country, while he doesn't see that happening this year because of the tax increase. The company's goal is to grow close to double Brazil's gross domestic product rate, he said. A central bank survey with market economists, show they expect the economy to grow 3.2 percent this year. Mantega said last month Brazil's GDP will accelerate this year and expand 4.5 percent in 2012.